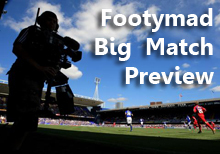 FM Preview: Southport v Forest Green Rovers 12 Mar 2013 - Forest Green Rovers Mad! Forest Green Rovers face a trip to Southport at Haig Avenue on Tuesday evening, hoping to improve upon an average previous return from this fixture. Of the 9 games played, Rovers have recorded 2 wins, and Southport have come away with 4 victories. The most recent encounter between these two sides at Haig Avenue was just last season, in November 2011, as the visitors ran out cosy 1-3 winners in a (Conference) Premier match. Southport have managed to pick up just two wins from their last six home games, losing three, A generous 12 goals have been both scored and conceded in this period. Forest Green Rovers have an average recent record on the road, collecting 1 win and 3 draws from the last six played. Only 5 goals have been registered in this time, with 7 leaked at the wrong end. Forest Green Rovers lie just outside the playoff positions in the Blue Square (Conference) Premier, picking up 58 from their 37 games so far. Forest Green Rovers Not won in previous 3 away matches.